I have been busy working on some crafts for the Sowing the Seeds of Prayer event. 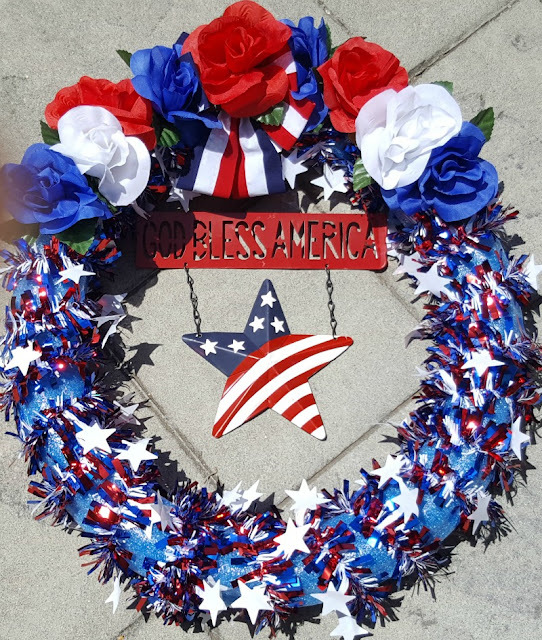 I created another wreath from a pool noodle from the dollar store. I thought it would make a nice welcome to the event. This wreath I used pink socks to cover the pool noodle. 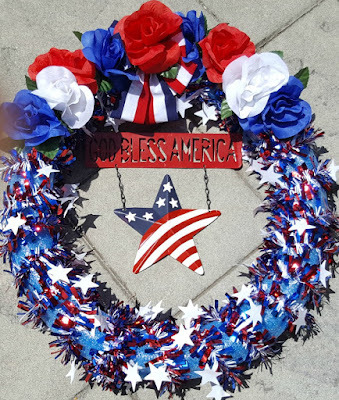 I used the same method as the Patriotic wreath I made here. 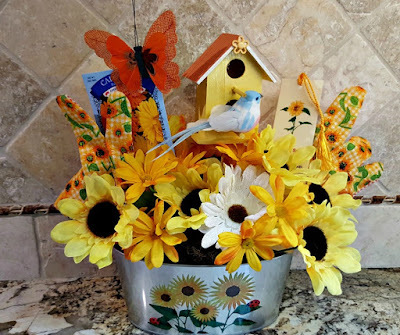 A cute garden sign from the dollar store, along with some flowers, a bird and a bird house. 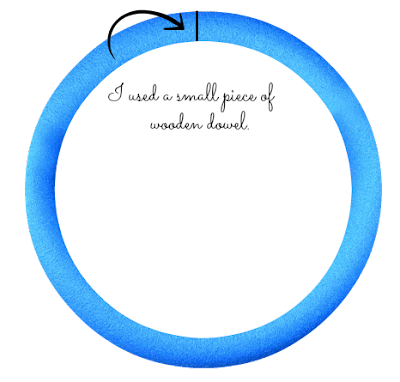 I used a wooden dowel, about 1 inch diameter and 6 inches in length to fit the pool noodle together. The birdhouse I got from Michaels for $1.00. I decoupaged it and painted it. Michaels has different designs. For the socks, I used 1 pair of slouch socks. Two bunches of flowers from the dollar store and a roll of pink ribbon. 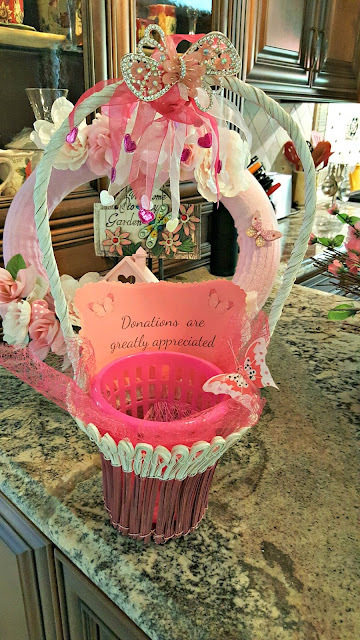 I decorated a basket I had for the event for donations, by adding ribbons and butterflies. The event is free and they are serving a continental breakfast and lunch. The centerpieces for the event are here. I then made napkin rings. I got my husband involved again. 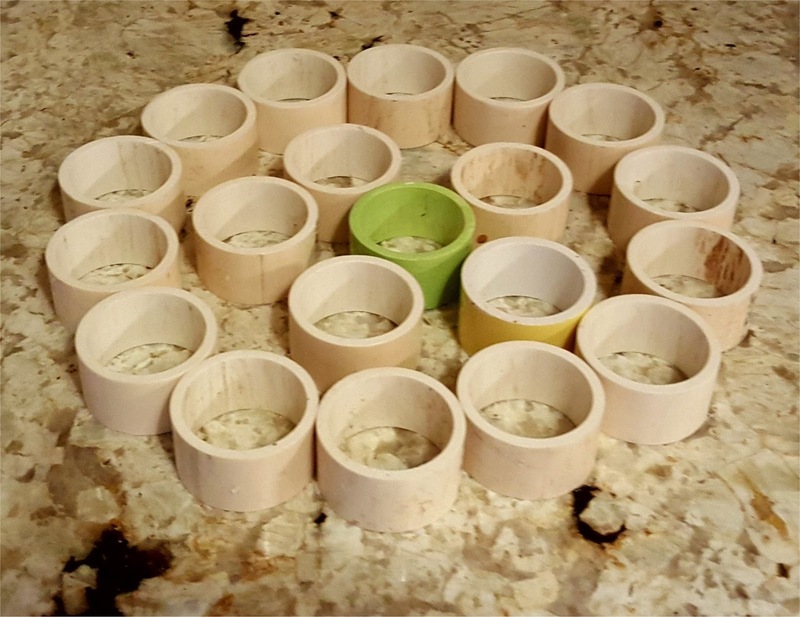 He cut 1 1/2 " pvc pip into 1 inch pieces. I sanded and then sprayed painted them. Since the theme is yellow and pink, I used both of those colors of paint. I got the pvc pipe from home Depot. It was cheaper to buy the long piece of pipe, than to buy a 3 foot cut section. The guys at Home Depot cut it for me, so it would fit in the car. The total cost of the pvc pipe was $5.00. I have extra for other projects. Here's some that were just cut. I did paint a few to see how they would look. I used the dollar store clip on butterflies for some of the rings and the others, I glued flowers. 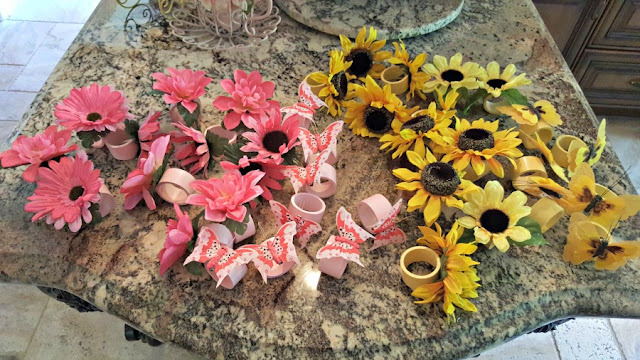 The centerpieces are sunflowers and the other tin is pink flowers, so the napkin rings had to match. 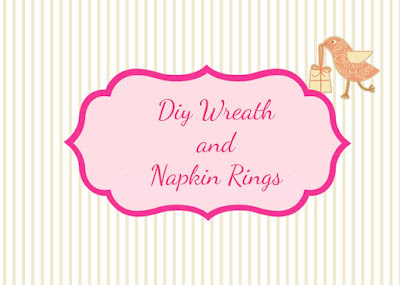 A very inexpensive way to make napkin rings. 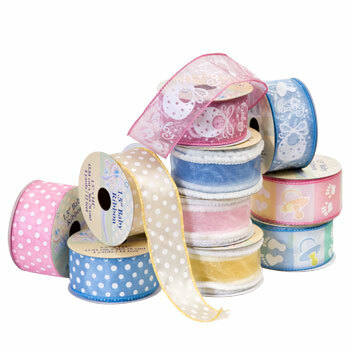 Paint them, decorate with ribbon, twine and jewels to create some great looks for any occasion. 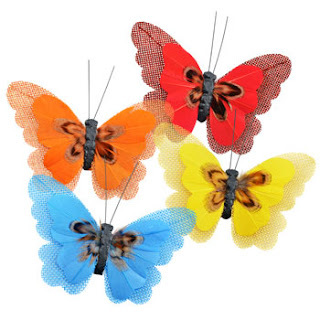 and the chairs will have colored sashes, tied in bows. Here's a photo of the welcome table. The event is on Saturday. Happy crafting and have a fabulous weekend. The wreath is darling. So clever Linda!! Everything looks so adorable and pretty, Linda! I love craft fairs and I'm sure this one will be fabulous with all the beautiful décor you've created! Where did you find the assortment of slouch socks? I looked all over for brown ones during winter for a project I had in mind and couldn't find any. Oh, I wish I lived close so I could attend this. You created beautiful items. Hope it is a huge success. Pool noodles! Socks! PVC pipe! Very, very clever! 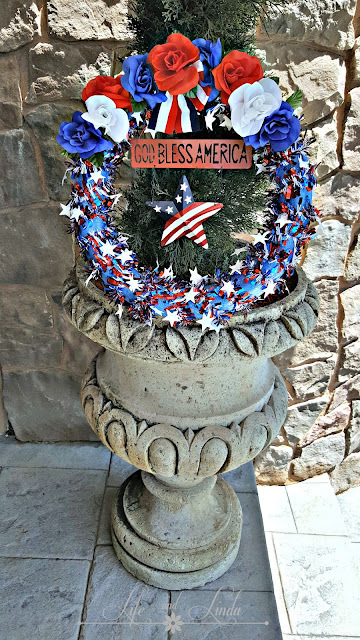 That patriotic wreath is so eye-catching! Good afternoon, Linda! I had heard recently that pink sunflowers do exist! I wish I could remember where! Your napkin rings are beautiful, and you are having fun? I AM TOO! Freedom to roam, dream, connect. That's what I love! Enjoy your weekend! How clever you are! 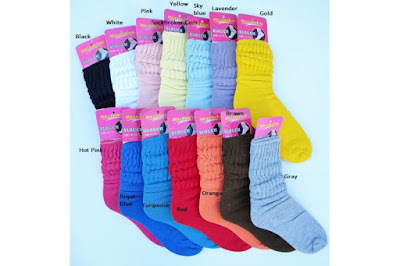 I had heard of the pool noodle wreath concept, but not using the slouch socks to cover. I really like that idea. Our front door is looking bare and the porch could really use some sprucing up. Maybe a pool noodle wreath is in the near future for me! You are so creative!!! It all looks wonderful!!! What a sweet wreath! And for a wonderful cause, I hope many turn our to buy! 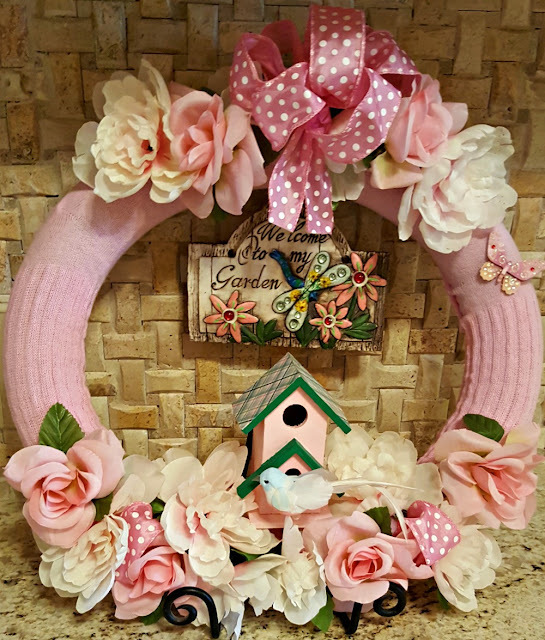 Oh Linda, another cute pool noodle wreath! You are so clever and thrifty with the darling decor. The napkin rings turned out so cute, too. I'm sure everyone at the church appreciated all your time and talent. I hope the Sowing the Seeds of Prayer event went well for you....what a lovely theme for a loving fellowship! Your decorations are just so perfect & I'm impressed with how much bang you got for your buck. Not counting all your hard work...(DH's, too!) Just beautiful!! You inspired me! A wealth of creative thought Linda. So classy . . . which does not in the least surprise me since you are the author of these cuties. I have been making birdhouses for years but never seen one with a heart entrance ~ guess I haven't seen a heart shaped bird . . . lol. All the women who attended our first annual Sowing Seeds of Prayer women's prayer day RAVED about your decorations! They absolutely loved them. 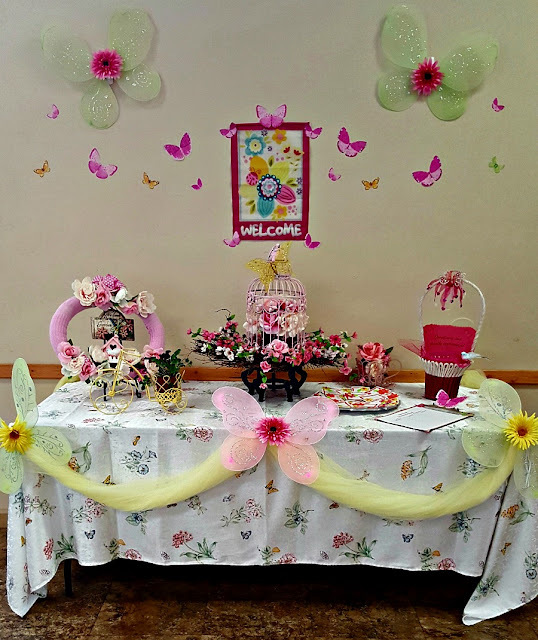 You transformed a parish hall into a beautiful prayer garden, perfect for our theme. You are better than 10 Martha Stewarts - truly! You are SO generous with your time and talent. Thank you, Linda, for everything you have done for St. Luke's Episcopal Church in Auburn, CA! We are so appreciative and humbled by your grace and kindness. Hi Linda, wow I love your pretty wreath, tip basket and napkin rings you made! You did a great job with everything. Thanks for sharing this at Cooking and Crafting with J&J. Wow, Linda, you have been super busy! You are so crafty! I love the way you can put together beautiful creations while keeping the cost so minimal. 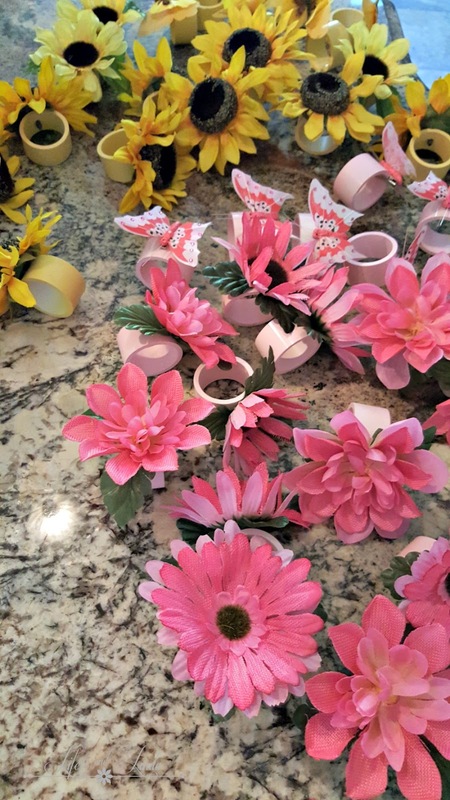 I don't have the craft gene but I sure do appreciate when others can do something so special for a good cause. You rock, my friend! What a neat idea! How fun!! You've been busy!